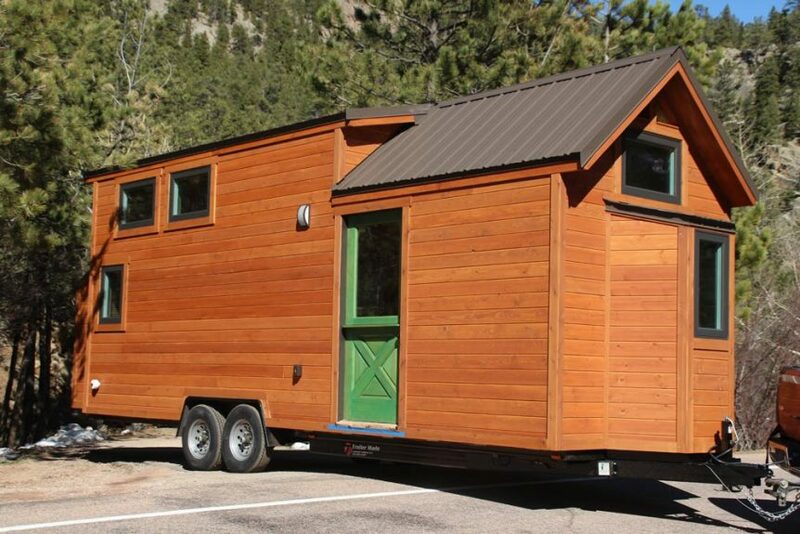 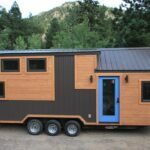 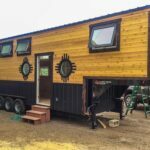 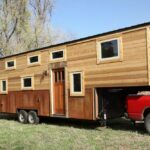 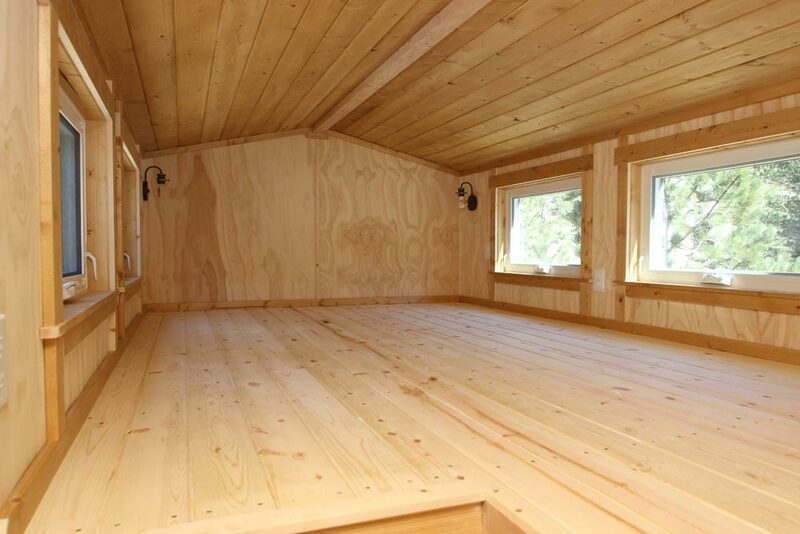 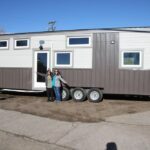 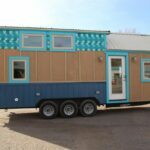 Lyons, Colorado-based SimBLISSity built this custom 26′ tiny cabin named “ET” for their clients, Erin & Tyler. 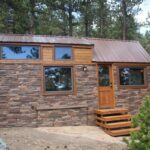 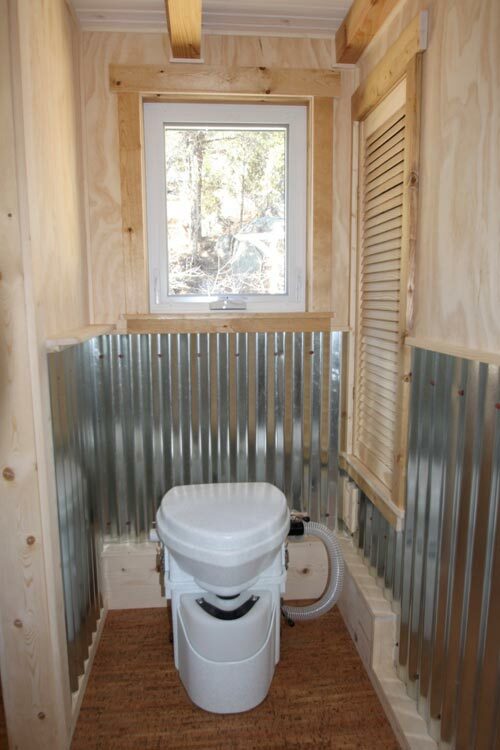 The cabin fits perfectly in the Colorado Rockies with its rustic, all wood interior and exterior. 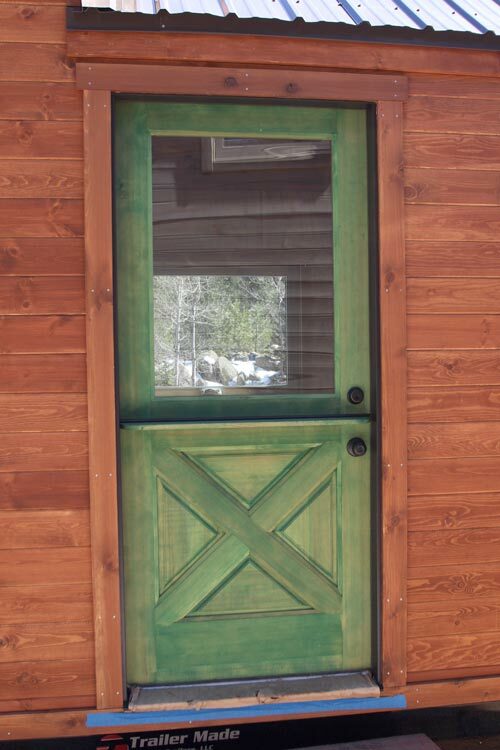 A green Dutch door adds a bit of color and character to the house. 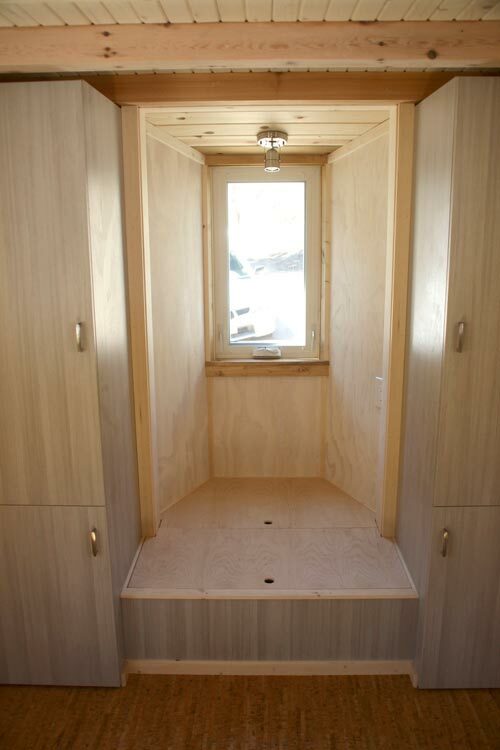 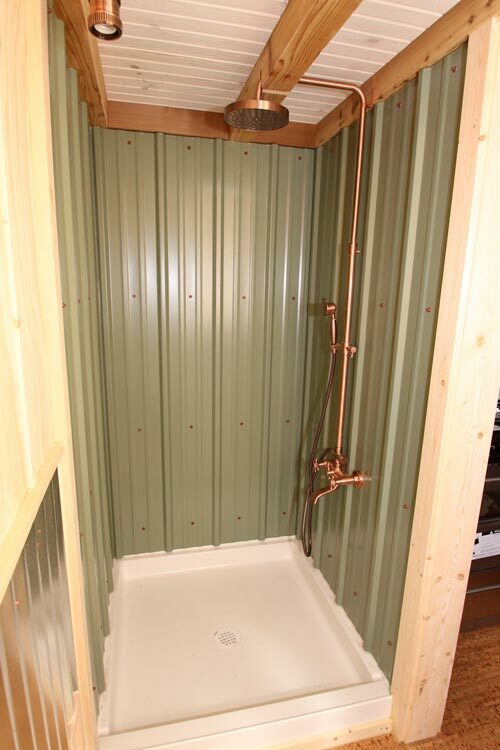 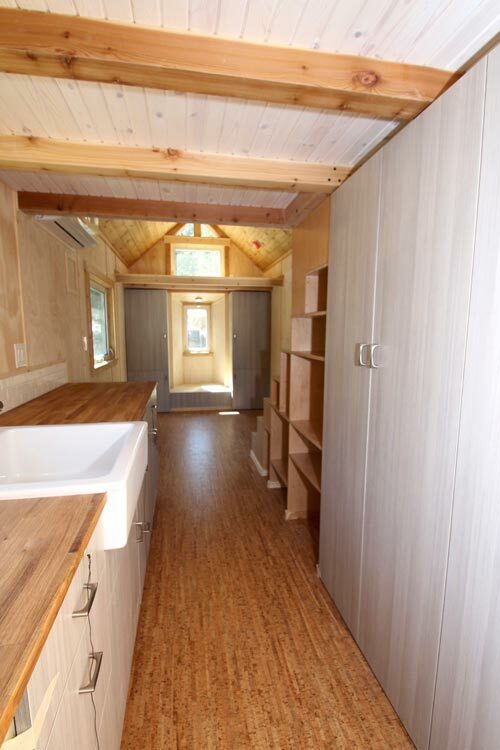 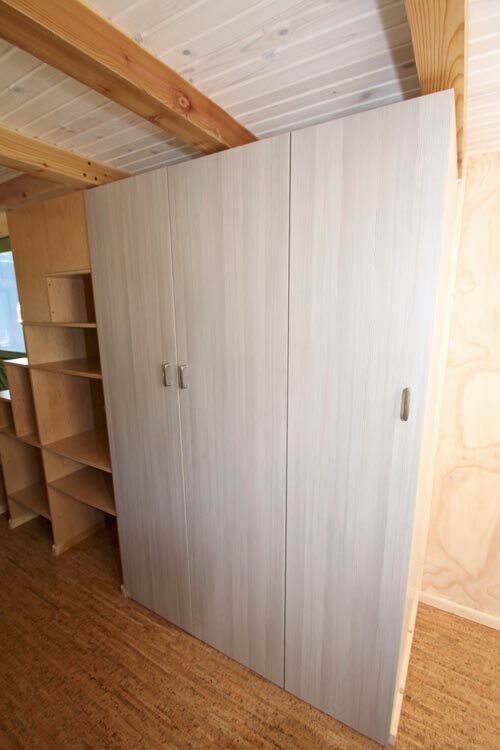 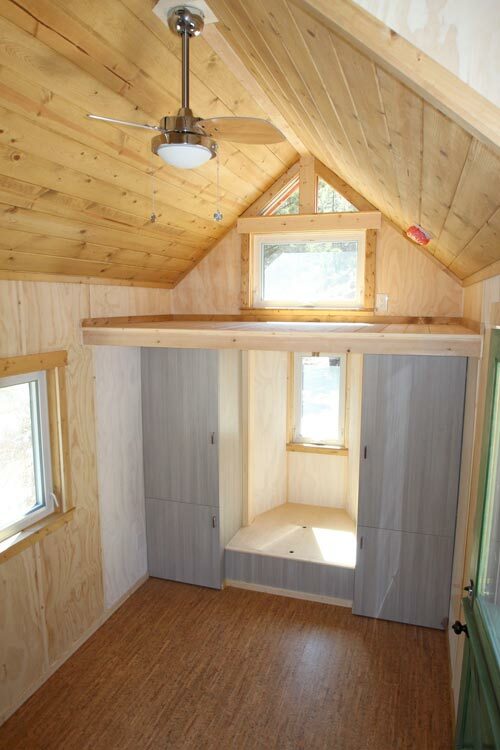 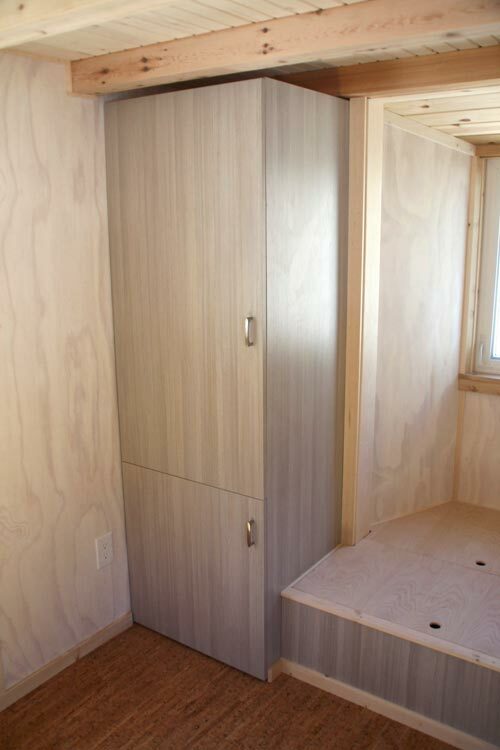 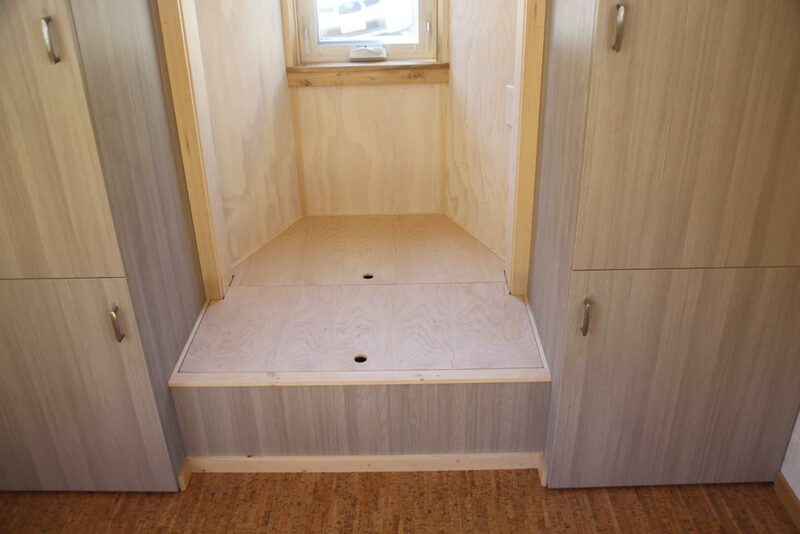 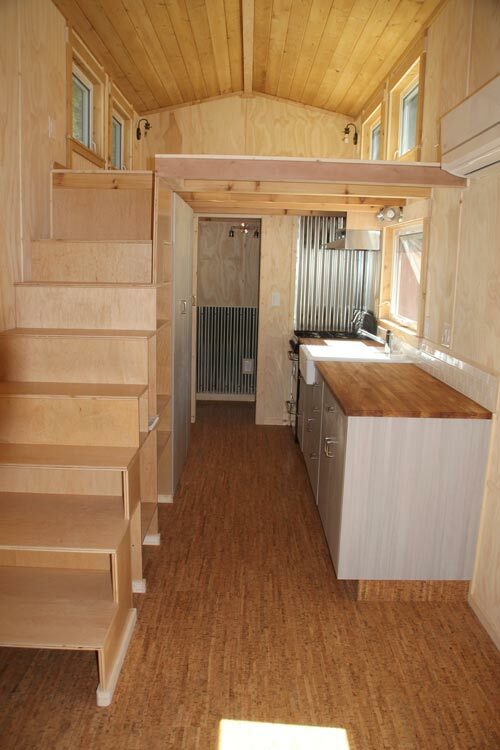 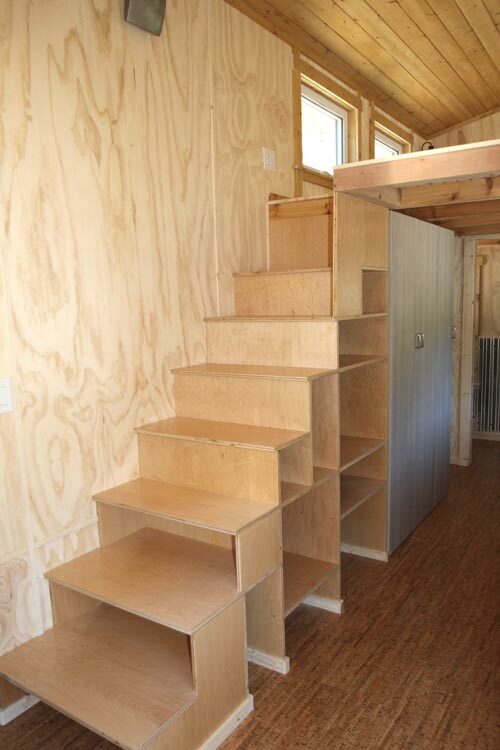 Inside the tiny house are several full height closets and other storage spaces. 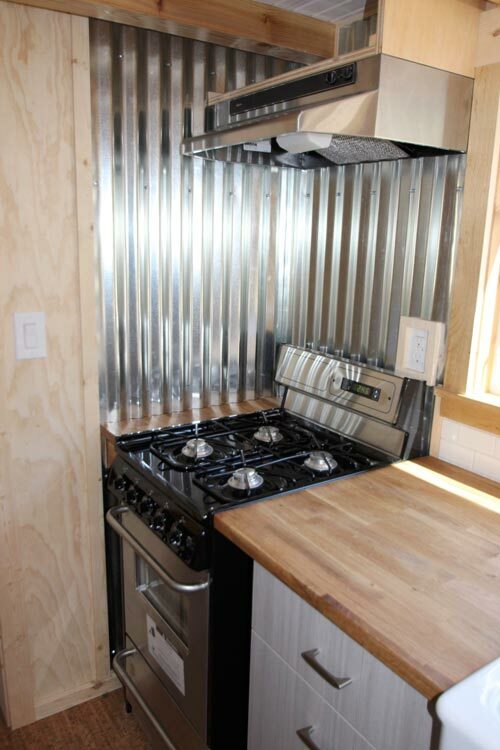 The kitchen has a four burner gas stove, apartment size refrigerator, and large pantry. 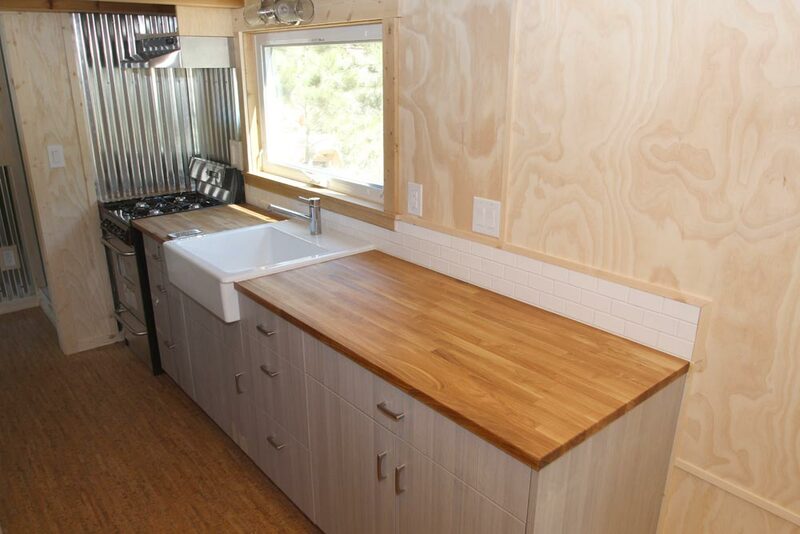 Full plywood wall panels were left natural to help create a bright, inviting living space.